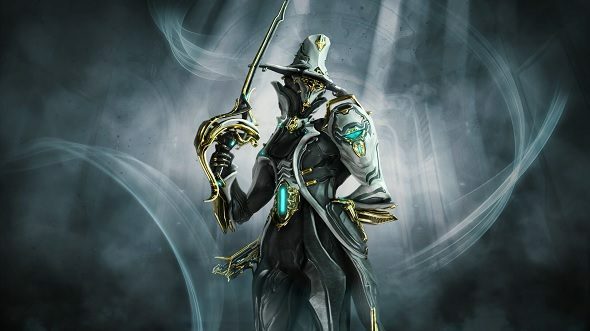 Warframe: The Sacrifice came out for PC on June 14 and has kept us all busy since – not only with the new quest, but also due to the addition of an Umbra frame. The impressive and sleek design came with new gear, new customisations, and a UI update. That’s a decent chunk of additional free content right there. But developer Digital Extremes didn’t sit on its laurels once this new expansion arrived. It was only five days later, on June 19, that new Primed variants of existing frames were added to the game. Those are Limbo Prime, Destreza Prime, and Pyrana Prime. Those new Primed variants are accessible to everyone but only if you’re willing to put the the build time in or to pay to skip it as part of Warframe’s Prime Access. But, luckily for you, we’re giving away Limbo Prime Access to one winner (PC only) so you don’t have to put in the donkey work. Not only that, we have some runners-up prizes up for grabs, so even if you don’t win the top prize you could still win something. What do you get if you win Prime Access, then? You get the Limbo Prime frame and all the accompanying glyphs so you can manipulate the Void as the golden gentleman. Then there’s the Destreza Prime, which uses precise strikes and high puncture damage to be devastating against armoured targets. And, finally, you’ll receive the Pryana Prime, which uses a Tenno secondary automatic shotgun to shred enemies up. Additionally, you’ll get the Oblivia Prime Syandana, the Rift Walker Prime sigil, 4000 Platinum, a 90-day credit booster, and a 90-day affinity booster. Please note that this giveaway is for PC players only. Only one person can win the Limo Prime Access but we do have 15 other prizes up for grabs. Five runers-up will receive 1,000 Platinum each that they can redeem on their Warframe account. While a further ten runners-up will be given 500 Platinum to spend. Now you know everything, make sure you enter the giveaway via the widget below. You’ll need to enter your Warframe in-game name so we can make sure you get your prize. Beyond that, every action you complete is worth one entry into the giveaway, with the more actions you complete increasing your chances of winning. #We’ll also need your email address so we can send you a code upon winning – we won’t send you spam, we promise. Please read ourterms and conditionsbefore you enter. To learn more about what’s coming toWarframe,Tenno can tune into one of the biggest reveals of 2018 during TennoLive starting at 15:00 PST/ 18:00 EST on Saturday, July 7at:twitch.tv/warframe.